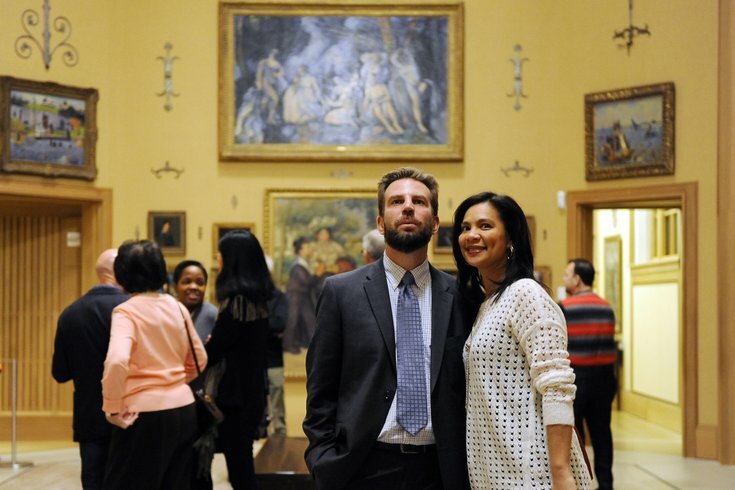 Guests look at art in the Barnes Foundation. The Barnes Foundation is hosting an open house on Dec. 16, with free admission to the exhibition "Live and Life Will Give You Pictures: Masterworks of French Photography, 1890–1950." Subjects explored in the 200 vintage photos include Paris and Environs, Life on the Street, Labor and Leisure, Commerce, Personality and Publicity, Reportage and Art for Art's Sake. Besides offering the public a chance to check out 19th- and 20th-century photography, the open house will feature a pop-up holiday market. Attendees can shop for artisanal gifts from local vendors or enjoy wine tastings. Other drinks and food will be available for purchase from Starr Catering at the event. Before leaving, stop by the complimentary photo booth for a "19th-century selfie."